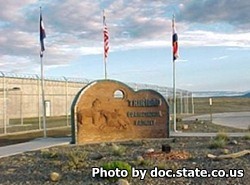 Trinidad Correctional Facility is located in Model Colorado. It houses over 500 male offenders of minimum security. This Level II facility offers a re-entry program that prepares inmates for their eventual release by developing personal skills and education. Inmates incarcerated at this facility can participate in the canine companion program which is offered by the Colorado Correctional Industries. Offenders can also take basic adult education and GED courses, information technology classes, and computer information systems. Other courses include the seven habits of highly effective people, and thinking for a change. In order to visit an inmate, you must have first submitted a visitors application and it must have been approved. Visiting is on Saturdays and Sundays from 9am-4pm.